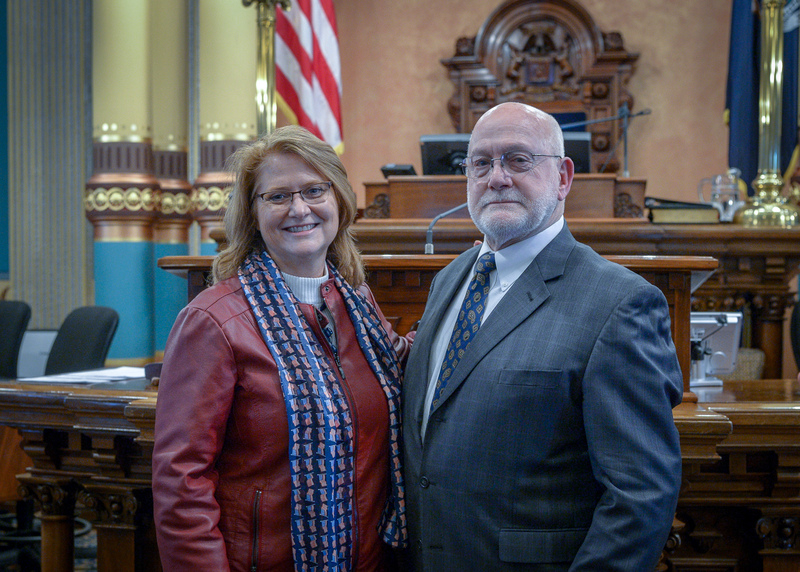 LANSING, Mich. — Sen. Lana Theis, R-Brighton, welcomed former district and circuit court judge Karl Fink to the Michigan Capitol on Tuesday night as her guest for Gov. Gretchen Whitmer’s State of the State address. Fink is an Ann Arbor-based attorney and currently serves as partner in Fink & Fink, PLLC. Editor’s note: The above photo is available by clicking on the image or by visiting https://www.senatorlanatheis.com/photos/.